Started this one a month or two ago and just finished up (that's why the yellows don't quite match up yet). 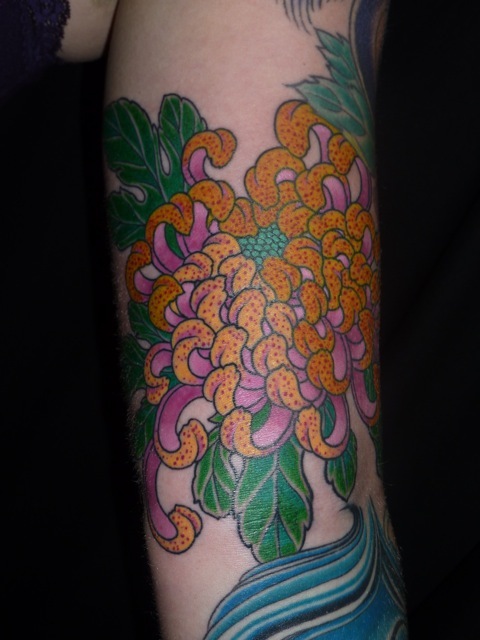 Great client who's super fun to tattoo, so the flower ended up a bit more "fun" looking for lack of a better word. Never done one quite like this, but I feel like it works for her and I'm excited for our plans to do more and finish the arm.